Western Digital is rising to new storage heights with helium-filled 8TB hard drives designed for consumer NAS boxes and external drives set-ups. The NAS options are not yet available, but WD is already selling the 8TB external drives at select retailers and online under the My Book line. But clutch those wallets tightly, folks. The external drives currently cost a whopping $300. That’s quite pricey when you can get two 4TB external hard drives on Amazon right now for a little over $200. WD isn’t saying how much the 8TB NAS drives will cost or what the specs are. They'll likely be priced competitively with Seagate’s new 8TB NAS drives, which have an MSRP around $400. 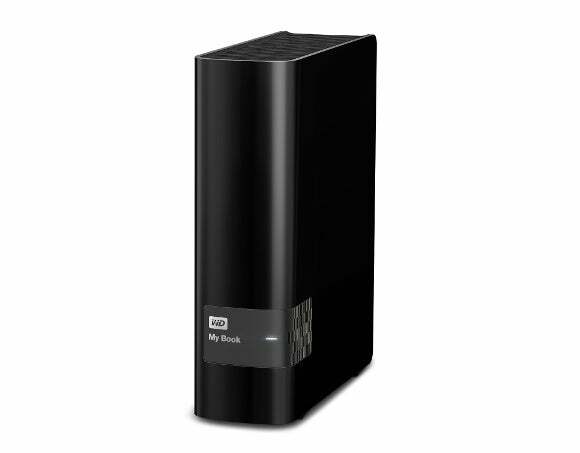 When the NAS versions do roll out they’ll be available as part of the WD Red internal hard drive lineup. WD will also sell the drives as part of the WD Red Pro line for small businesses and WD Purple drives designed for 24/7 surveillance systems. Why this matters: The major appeal of WD’s Helium drives—other than wondering if you can open the drive to make your voice sound funny—is that they’re hermetically sealed using WD’s HelioSeal process. As helium is lighter than air that means there’s less drag on a hard drive’s moving parts, which in turn is supposed to reduce heat inside the drive. Less heat means you don’t need as much cooling capacity for the drive, which means your PC uses less power. At least that ‘s the theory. We haven’t yet tested whether HelioSeal drives result in noticeable power savings or heat reduction for an individual consumer PC or NAS drive. That doesn’t matter too much for external drives sitting in their own case, but can be critical in a multi-drive NAS set-up.